When it comes to wearing prescription glasses, there are two major styles of people. Some glasses wearers have exactly one pair of completely utilitarian glasses. When they choose their lens options frames they do so with their entire lives in mind. Work, recreation, formal occasions, all the same pair of glasses. Even sunglasses they try to handle with the same pair, investing in either clip-ons, transition lenses, or bigger shades to go over their normal glasses. Then there are the people who have a pair of prescription glasses for every occasion. They like to have a pair for everyday use, a pair stowed in their desk at work, a pair of sunglasses for driving, a fancy pair for formal occasions, a sturdy pair for shop work, and probably a backup pair in some utility drawer as well. Wherever your personal glasses preferences are along this spectrum, you probably feel the same way about safety glasses as well. At this point, you may well be wondering how many safety glasses there can possibly be. Most people are only familiar with the big plastic goggles they wore in school science glass or perhaps the generic safety glasses they wear at work to protect from airborne materials but could you really have an entire collection of different safety glasses? Absolutely you can. There are as many kinds of safety glasses as there are reasons to wear them, as every purpose has its own specific safety considerations. Most protect from impact but some need to be sleeker than others, some need to protect against splashes as well, and a few even come in small children’s sizes. How many pairs you need is a simple question of how many activities you do on a regular basis that put your eyes at risk. Let’s start with a type of safety glasses that most people don’t think about. Sports could easily be considered one of the riskiest and most popular recreational activities in our society. Thousands of people every day spend time around flying balls and swinging sports equipment, then propel themselves at high speeds across fields, tracks, and public areas. While this is all a great deal of fun when everything is going perfectly, the moment you take a tumble or a ball to the face, you realize that your everyday prescription glasses may not be the best choice for rigorous physical activity. Sports safety glasses tend to have a sleeker design than most, aerodynamic and wrapping the face rather than flaring out around it. They are also more likely to have incredibly sturdy frames with rubberized sides in case you hit the ground rolling and need your glasses to roll with you. Prescription sports safety glasses will not only keep your glasses safe from mishap, they also keep your eyes safe from balls, knees, rackets, clods of dirt kicked up by the excitement, and rocks you might potentially fall on. 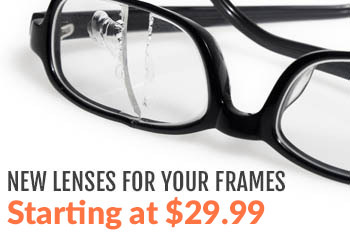 If you or your child need glasses and play sports, these are a good choice. Construction and manufacturing jobs are some of the most likely to result in wearing safety glasses at work. This is because the tasks involved like grinding, sanding, sandblasting, and woodwork can all put sharp and/or hot little particles of sawdust, metal flakes, or larger and more dangerous debris into the air and potentially right into your eye. Safety eyewear is incredibly important when working with industrial or construction material and has been known to save lives and vision in the past. However, working one of these jobs with prescription glasses usually means trying to wear plain plastic safety glasses over your normal glasses. It is, in fact, much safer to simply buy a pair of prescription safety glasses of the style your job uses to wear when you’re at work or working in your garage shop at home. Sunglasses have always been a special challenge for people who need vision correction. While the options are many, no one has settled on a single best way to handle the sunglasses situation. Some custom fitted clip-ons with smoky lenses that overlay their usual prescription glasses. Others use transition lenses which respond to light levels and tint themselves when you walk out into bright sunlight. A large number of people simply buy an enormous pair of normal shades and slip them on over their normal glasses. 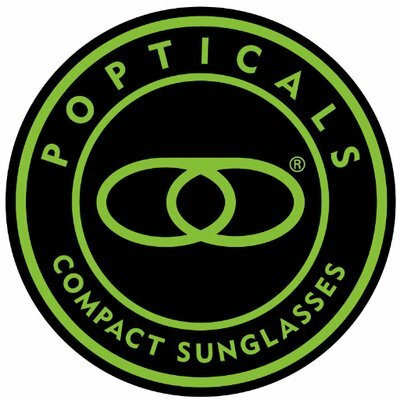 However, one of the classic solutions that works well for adults with a stable prescription is to simply get a pair of prescription sunglasses with built-in UV protection for added outdoor safety. Even with science class in all of our pasts, most people don’t consider how important safety glasses are to a large number of scientific and medical pursuits. Anytime you are working with chemicals or biological materials, it’s incredibly important to wear eye protection. Unlike construction work, this time the shielding is to protect the eyes from material splashes rather than impact from physical projectiles. Chemists must be careful not to blind themselves in the course of their work and medical lab technicians must be careful about contamination and infection from their samples. Riding a motorcycle is by far one of the most important times to wear proper protective gear from the top of your head to the tips of your toes. 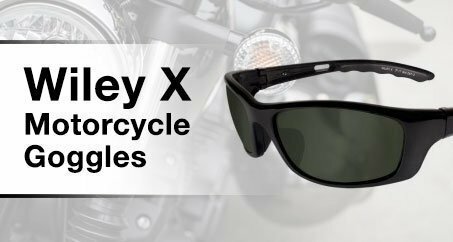 Motorcycle glasses are a very special design of safety glasses made to be aerodynamic, hug the face like goggles, and look incredibly sleek to suit the stylistic preferences of most motorcycle riders. They are always made with incredibly sturdy plastic and are meant to protect your face both from airborne objects (bugs) and from the road itself should the motorcycle overturn. Many people with vision correction and a love of motorcycles get prescription motorcycle glasses rather than wearing their everyday glasses under a full shield helmet. Our final kind of safety glasses are incredibly specialized and needed only by people of a very specific occupation. Welders and those who weld as part of a more complex industrial or mechanic career need safety glasses that can simultaneously protect their face from sparks and their retinas from being burned out by the bright light of the welding torch. The easiest way to do this is with a pair of prescription safety glasses with a clip-on attachment allowing you to switch out tinted non-prescription lenses. You may also be able to find a pair with an adjustable darkening shade rather than a helmet. Whew! That’s a lot of prescription safety glasses. Naturally, the number you need or at least need to consider should be based on the variety of relative activities you do. If you play sports, you may want a pair with smooth, rubberized edges. If you do construction work at home or professionally, you’ll need impact protection from incidental projectiles. Of course, if you have two or more reasons to buy prescription safety glasses, why not roll them all up into a single utilitarian pair? They make special glasses with lens gaskets so you can switch out the lenses if that’s something you need or you can simply choose a set of frames that suit the needs of all your safety eyewear needs. For more helpful information about prescription safety glasses or how to find the right pair for you, please contact us today!